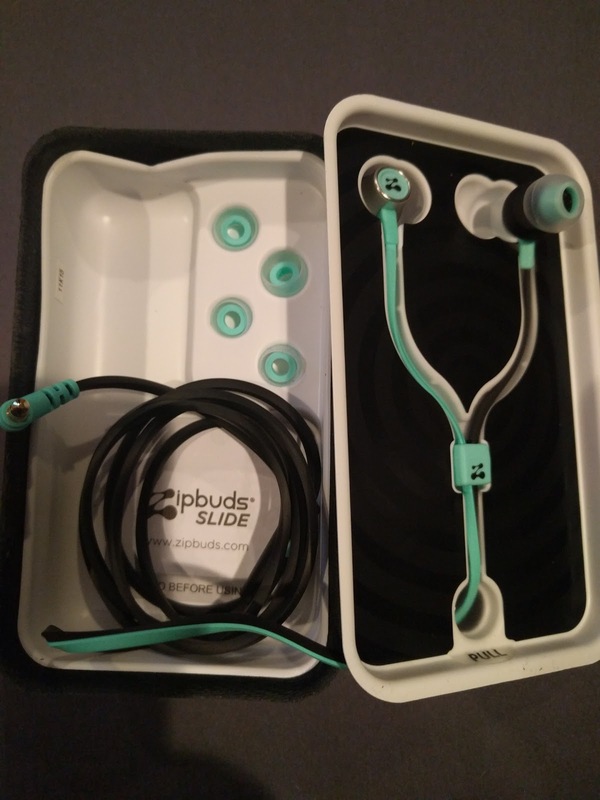 I recently was sent the ZipBuds Slide Sport headphones to review. I was a bit skeptical, as yet another headphone company with a little gimmick. Boy was my skepticism wrong. 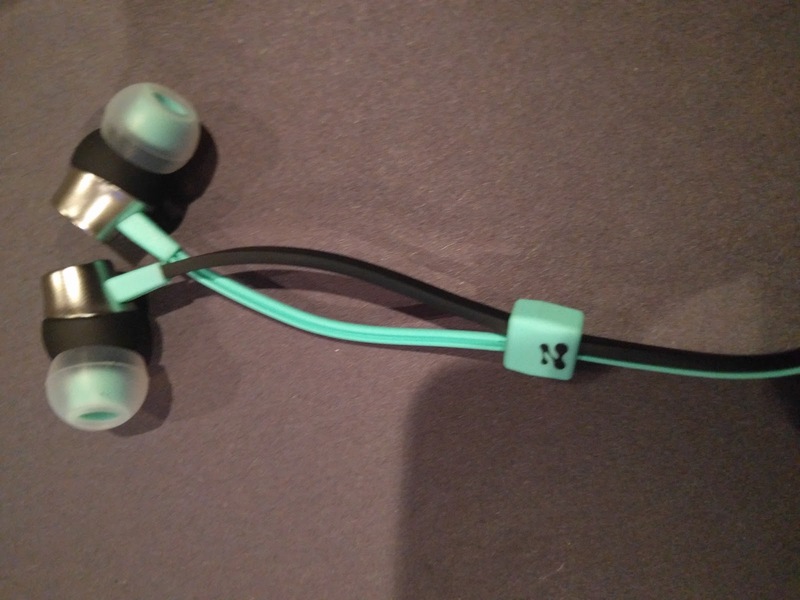 These could be my favorite headphones EVER. Despite being a one button control for play/pause (answer/hangup), I was not disappointed. I usually prefer volume controls, but after speaking with the company about this, I understood the reasoning behind excluding the volume controls. 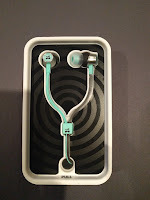 water/sweat resistance and tangle free operation. They seem to have met their goals here. Immediately upon placing these in my ears I was impressed. The fit and comfort were spot on (additional bud sizes are included to ensure a proper fit). 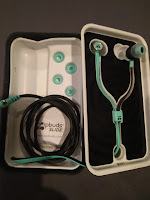 The sound that came from these buds was the best I have heard so far with an exceptional balance of treble and bass. As I mentioned above, these have a one button control that starts and stops music, answers and ends calls, and with a standard double tap will advance to the next song. 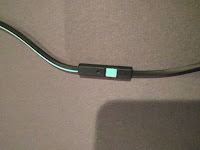 The inline microphone provided quality sound to those I spoke with on the phone. 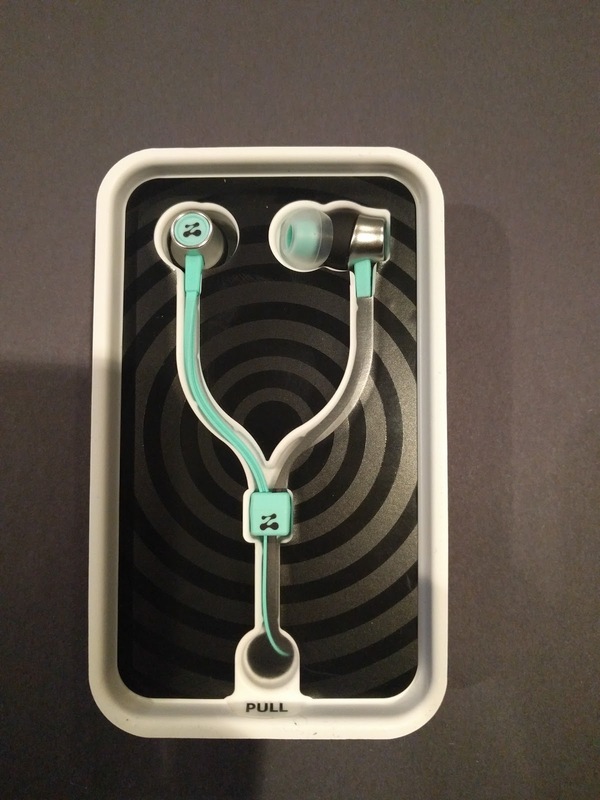 When walking briskly or running, you may experience the bouncing sound familiar to other ear buds, however this is easily rectified with the unique zipper aspect. 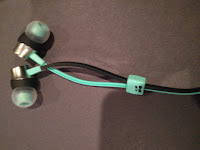 You can "tighten" these up around your head with the zipper that connects the left and right wires, and thus eliminating the bounce that causes the extraneous sounds. The flat wiring is a big help in preventing tangle, and to be honest I tried my darndest to get these tangled. With a lifetime guarantee, you would be hard pressed not to love these buds. I for one am making these my go to pair for running and commuting. Pick up yours on Amazon.